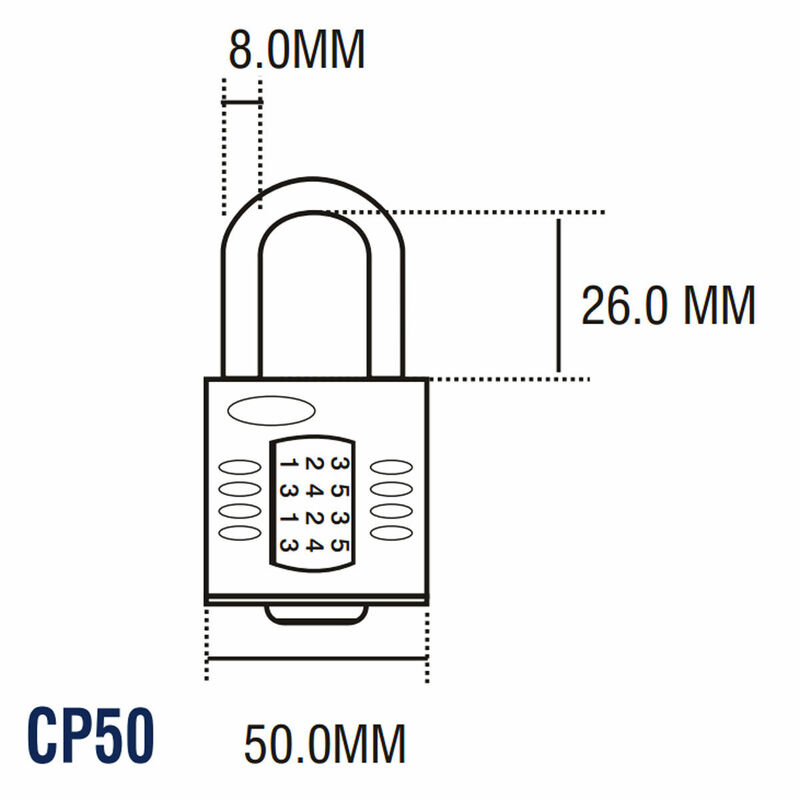 Convenience and quality is the trademark of the new CP50 range. With its modern design, it answers all your needs for a better quality, higher security combination padlock. These robust recodable combination padlocks deliver heavy duty security, and there are no keys to lose. The die cast alloy lock body has a dual compound protective cover for high corrosion resistance and excellent weather protection. The padlocks come with a 8mm hardened steel shackle, with long shackle and closed shackle options. All locks can be coded and recoded as required and they can be coded alike, so one code opens several locks. The 4-combination wheels are spaced comfortably apart, making them easier to use. And the recodable mechanism offer 10,000 possible combinations, making it difficult to pick. The Henry Squire Security Rating indicates the relative security for each padlock from 1 (Low) up to 15 (Maximum). This padlock is rated 7.